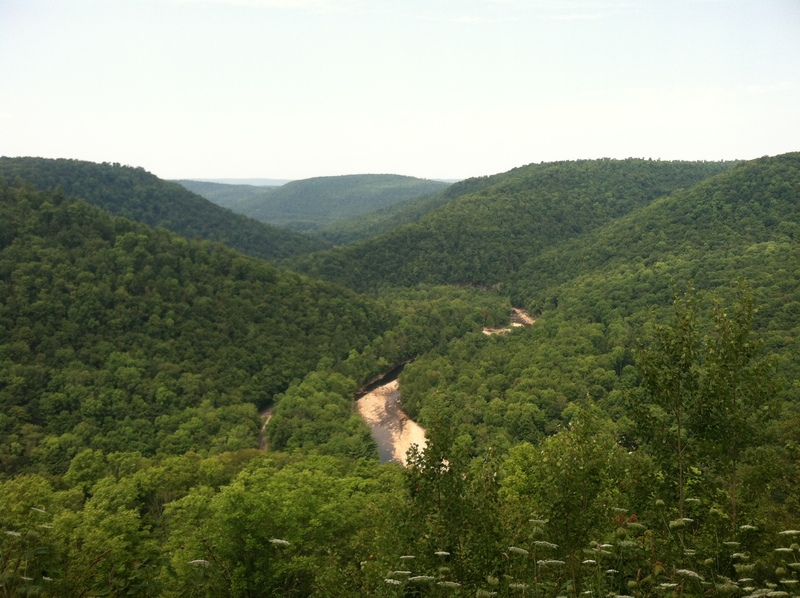 Tucked away in the wilds of central Pennsylvania is the Loyalsock Canyon Vista in World’s End State Park. To get to the 1,750-foot outlook, I took a series of logging roads on my mountain bike up some of the toughest hills I have ever tackled. At the top I was awarded with a scenic view of the lush canyon. There I breathed in the air, sucked some water out of my Camelback, then looped around the other side of the mountain where I took an amazing downhill trail at top speed. I thought I was going to fly off the mountain, but managed to keep my wheels to the trail, at least most of the time. Then I rode on country roads for another hour or so, until I came across an ice-cream stand. Drenched in sweat and exhausted from the road, I sat down and savored some smooth, cool, berry-flavored ice cream. It gave me enough power for another hour of riding until I finished off the day with a swim in the Loyalsock Creek. I slept well in my tent that night.